From my other life as a photographer . 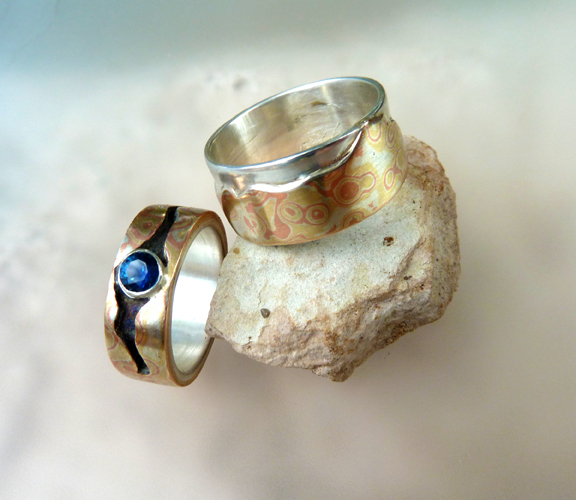 . .
Matagi Sorensen has made some gorgeous wedding rings for a super sweet couple. I’ve been taking photos of Matagi’s work for the last couple of years. It’s actually how we had our first date. He asked me how much I’d charge for photographing his jewelry, I said, “How about dinner”. Bold move—I had no idea how to photograph jewelry, I just liked taking pictures. I can’t even bare to look at the photos I took back then, but, I had to start somewhere. I am thinking about taking some classes in digital photography . . . something I will do within the year. In the meantime, I’ll keep on going and keep on improving and, I’ll keep on seeing Matagi! I used to just take photos of his work on stones—I hated the way the pieces looked in photographs when taken on velvet or other fabric. Now I use frosted glass—it creates an ethereal glow and a gently reflects the pieces. I am really happy with the way the photos came out. It rained for about 45 seconds as I was preparing the glass for the shot. It stayed cloudy, so I didn’t need to diffuse the light—just went out back, found a pebbly patch of grass, laid the glass down on the grass, and voila! About 12 minutes later Matagi was off to deliver the rings. 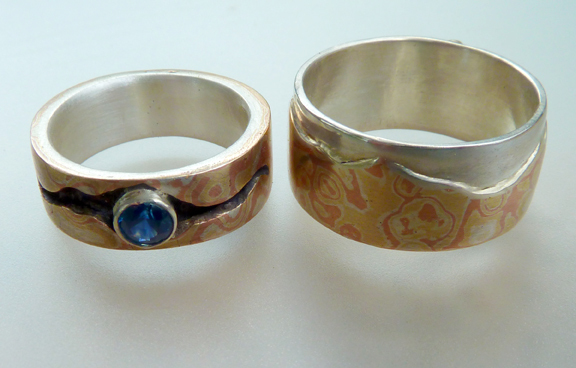 He really is a talented metalsmith and jewelry designer! 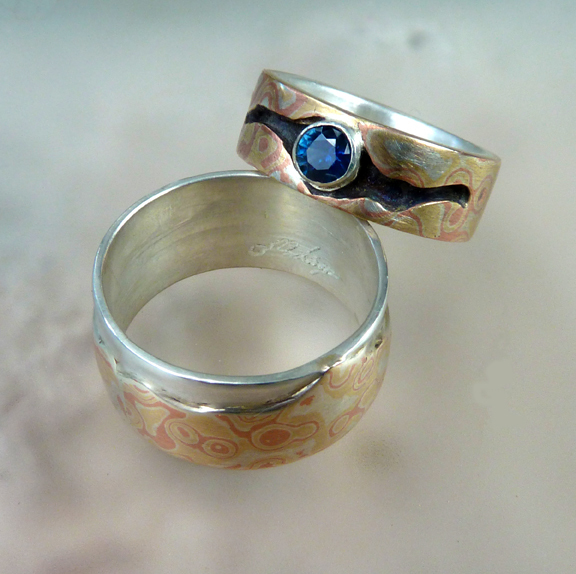 Most of his work is hand-fabricated (that means made by hand and one-of-a-kind). Check out some his work at Sorensen Silver Fine Art. I like the rings and your pictures of them. Hi! Thank you! The photography has been a process and I get to witness Matagi’s growth as an artist at the same time.